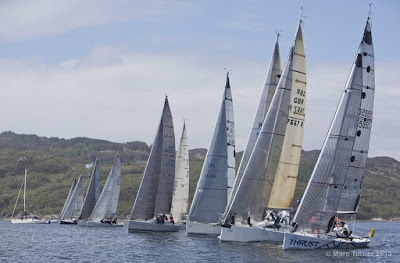 With the Scottish sailing season now in full swing May sees two iconic Scottish sailing events taking place with the Scottish Islands Peaks Race and The Silvers Marine Scottish Series. 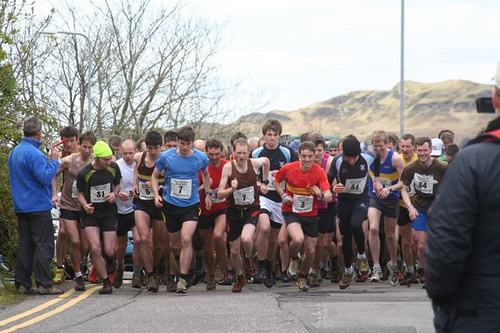 Scottish Islands Peak Race - Oban start line. A brutal start to the competitive sailing season on Scotland's West coast the SIPR appeals to a special breed of skipper and crew looking to push themselves to the limits of endurance. Starting in Oban this year on Friday 19th May the event sees crew and runners battle their way around the coast line of Argyll scaling the summits of Ben More on the Isle of Mull, all 3 peaks of the Paps of Jura and finally Goatfell on the Isle of Arran before a dash to the finish line in Troon. We are big fans of this event which has braced modern technology allowing you to track teams in real time as they battle the weather at sea and on the mountains over the weekend. Find out more on the event website or follow our live commentary on Facebook for a lighter take on events! Scotland's premier regatta Clyde Cruising Clubs Scottish Series has crews from all over the UK making the annual Pilgrimage to Tarbert and the testing waters of Loch Fyne. Building on a successful 2016 event a there have been a number of changes to the event format for this year all aimed at increasing numbers on the start line. 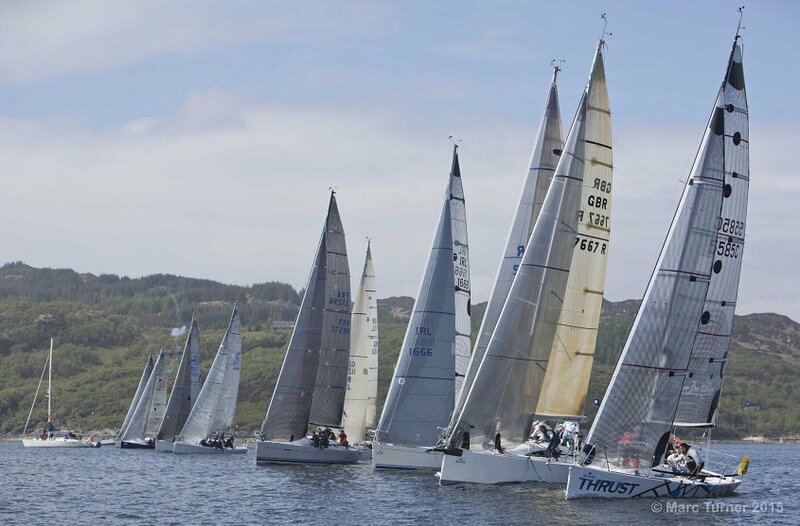 The IRC classes will be taking part in the Scottish IRC Championships which for the first time are embedded in the event. The all new RC35 class, an iniative born out of a desire to improve racing in IRC class 2 makes it debut and should ensure for some close racing. White sail classes continue to grow in popularity and offer the cruising sailor a chance to enjoy the great atmosphere of the event.